All eyes were on Stratos last weekend. Interestingly they launched a weather balloon before the main balloon launch. 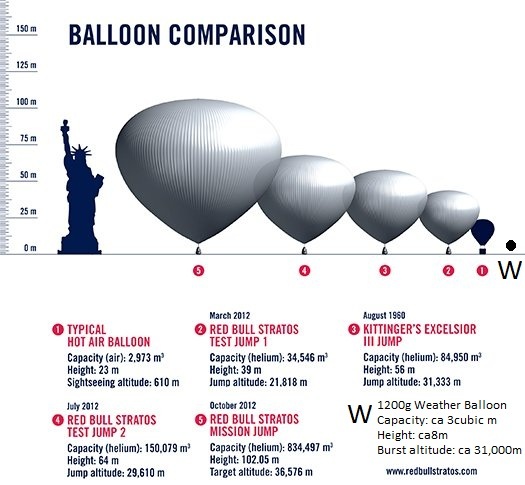 Anyway, I have annotated this informative graphic from Redbull to compare the size of weather balloons with Stratos. No one should ever grumble about high altitude balloonists using all the helium!